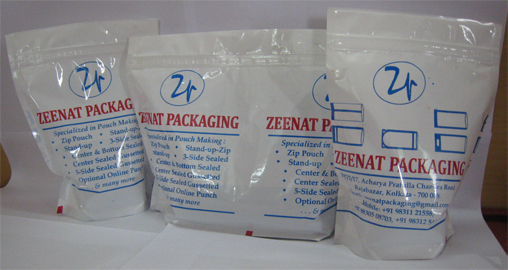 Zeenat Packaging offer wide range of sealed zipper pouches that are made in customized sizes, in smooth and stable finish. 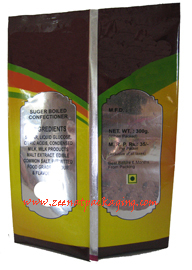 We make Zipper Pouches which are primarily used for packaging of snack foods and namkeens. 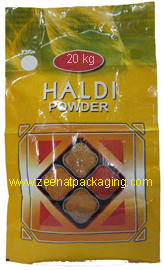 These pouches strictly adhere to requisite standards which make then very popular among our valued clients. 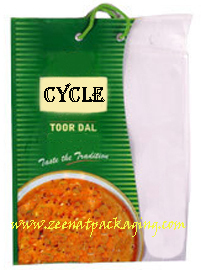 Furthermore, these are fabricated in compliance with client necessity and are delivered within stipulated time frame. 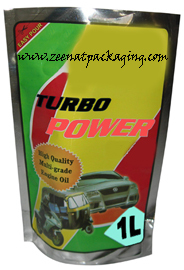 We make high quality Zippers Pouches which are used in various industries. 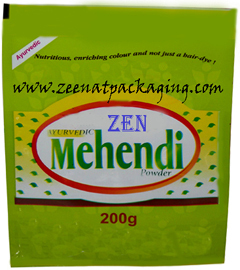 Press seal zippers allow your customers to keep your product fresh for longer period, best for daily use products. 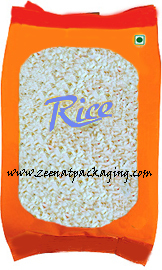 It is used for packaging of products such as tea, coffee, snacks, foods, namkeens, frozen food, zarda, biri, tobacco, etc. 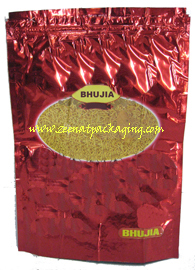 These Zipper Pouches are manufactured in various sizes from 25 gm pack capacity to 5 kg pack capacity as per clients requirement. Options include easy open Tear Notches, Header seals and ‘Hang Sell’ Configurations.